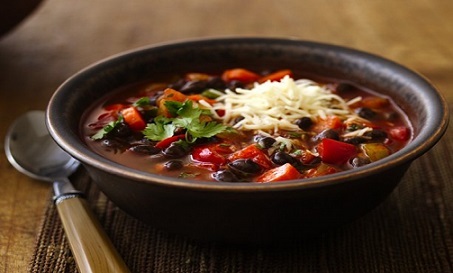 Black Bean Chili is probably not even considered "real" chili if you ask a Texan. It has beans and is not a traditional "Texas Red Chili." But it is delicious and is one of those meals appreciated on a cold fall or winter day. It warms and comforts you. Add some cornbread and you'll have a wonderful meal you'll remember. 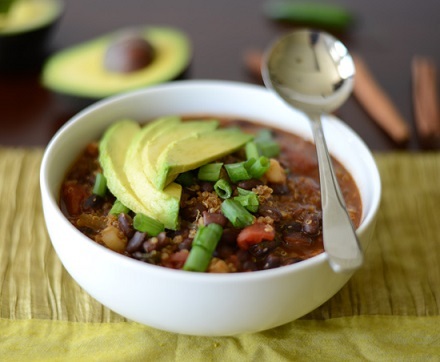 There is something else to appreciate about this hearty chili recipe. You can feed four people with one pound of beef or less. I usually use lean ground beef, but occasionally I chop up some prime rib or steak left over from a previous meal. So, almost magically, four people are happily fed with "leftover" beef! I usually start making this chili, or one of the other chilies in the restaurant recipe file, about the time football season begins. Chili is just something that seems to go well with a group of football fans. 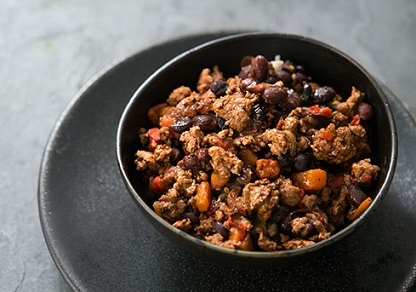 This chili recipe also freezes well, so you can double or triple the ingredients, freeze it and pull it out of your "bag of tricks" when you need a meal quickly. Add this mixture to the beans and cook another 10 minutes. Enjoy your Black Bean Chili (and cornbread) and the company of those you share it with! "Wish I had time for just one more bowl of chili."